With a jar of Bent Mountain BBQ Sauce on your shelf, dinner can be minutes away. Whether you’re using it on chicken or meatballs that you’ve prepared, or purchased frozen or “ready to eat,” you can have your meal ready in minutes. After cooking your prepared or purchased chicken or meatballs, just brush on a desired amount of sauce 5 minutes prior to eating. Place under the broiler for 3 to 5 minutes and voilà . . . dinner is ready! 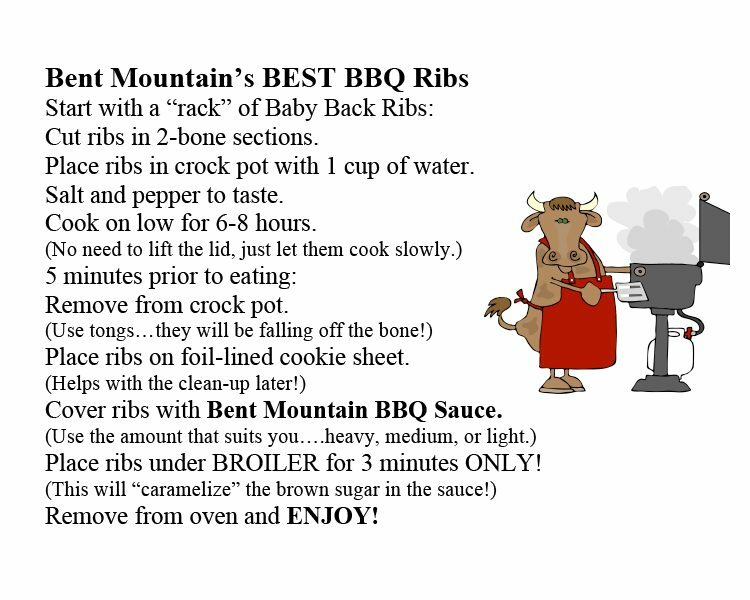 After getting home from a long day’s work and you want dinner ready in 5 minutes, start in the morning and use the recipe for Bent Mountain’s BEST BBQ Ribs. Delicious . . . and falling off the bone! What better way to reconnect with your family than to share conversations of the day while enjoying the comforts of a home-cooked meal! The crock pot and the Sauce do the work . . . you take the bow! 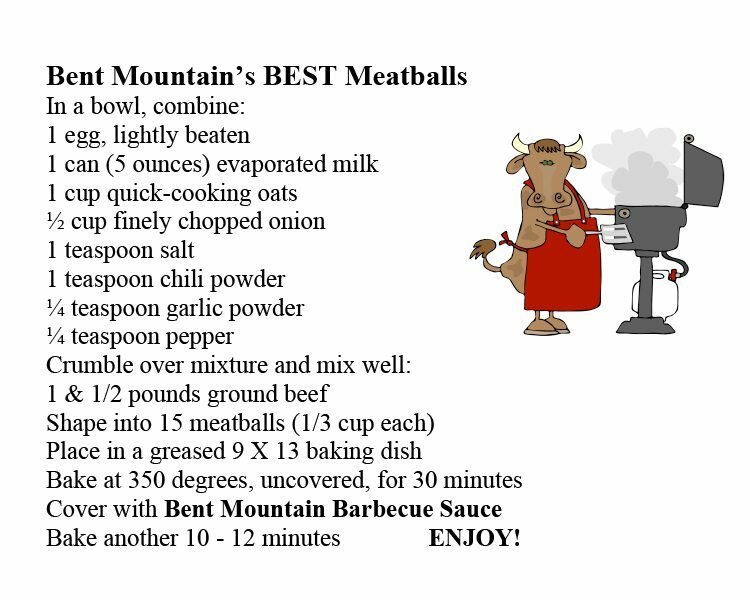 The recipe for Bent Mountain’s BEST Meatballs is also a winner! They are easily made on the weekend and frozen for another quick-night meal, or if you’re really in a hurry, buy the already-made, frozen meatballs in your grocer’s freezer. Either way, follow the recipe, or just finish them off in the oven following the recipe directions! Use as an alternative to cocktail sauce with shrimp/seafood. Kids (of all ages) enjoy using the Sauce on French Fries. Use in Stir-Fry vegetables. The Sauce adds a hint of sweet, and lessens the potency of soy. Add the Sauce to your Baked Beans for that GREAT flavor of barbecue. Try a Bent Mountain BBQ Pizza. Spread Sauce on a pizza crust (hand-tossed or store-bought), and cover with leftover pulled pork. The rest is as good as your imagination! Use as a condiment. Start a new tradition . . . Bent Mountain BBQ Sauce Burger or Hot Dog! The Sauce is GREAT for dipping veggies, chips, crackers, pretzels, pita chips . . . be creative! My grandchildren even dip their green beans in the Sauce! So . 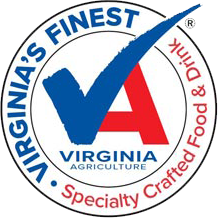 . . use it on chicken, pork (pulled and ribs), fish, even pizza . . . and don’t forget the beef and ham. It’s GREAT on a cold roast beef or ham sandwich!! It’s even GREAT on a spoon! If you come up with a special way to use the Sauce, email us! Would love to know how you’ve enjoyed it! !